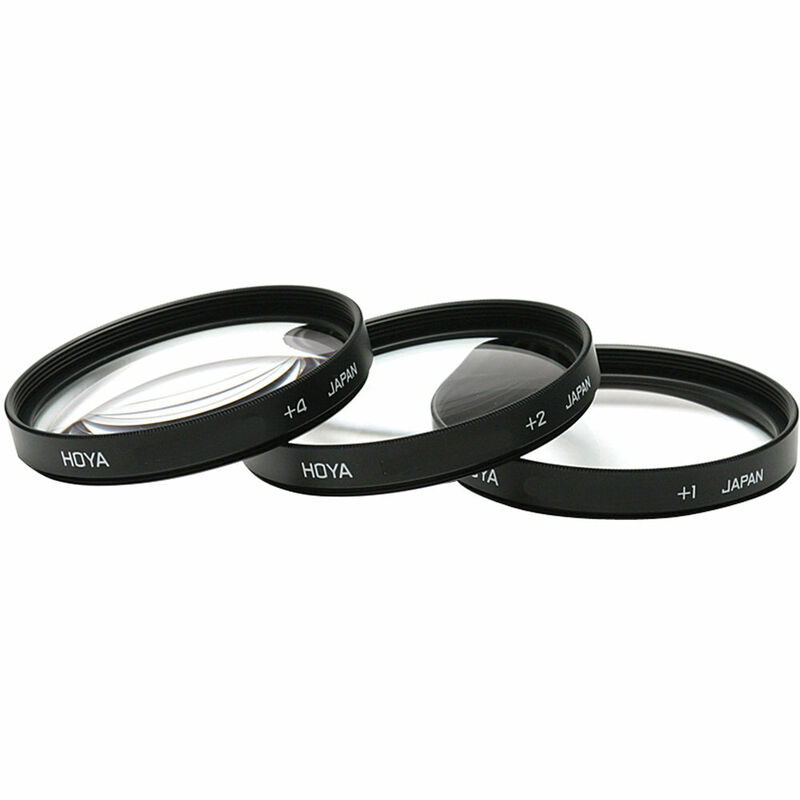 72mm Close-up Kit (+1,+2,+4) Lens is rated 3.9 out of 5 by 9. Rated 5 out of 5 by BedeliaPhotografia from Stunning Hoya Filter Lenses I use lenses on my Contax 645 when I need to get slightly closer, for wedding portraits, for smaller details. These lenses are so sharp and do not compromise the magnificent Zeiss glass already in my lense. I was just able to photograph a queen bee on a flower, detailing its wings, that I could not have focused more than 3 feet close to. Of course the downfall to lenses is that they must be stored carefully as to avoid scratches, but when you get your images back of close details that are tack sharp, it is worth the pain! Rated 5 out of 5 by Mr Ian from A reasonable alternative to macro lenses I'm very happy with these close-up filters. I use it for detail/product shots and it delivers. Normally I stack these filters and image quality is kept intact. I actually still have the 58mm version but needed the bigger filter size for my other lenses. Hoya makes great products and B&H is awesome, making this available this to us from anywhere in the world. Rated 4 out of 5 by Anonymous from This just saved me hundreds of dollars. I thought I was going to have to buy a macro lens in order to use my DSLR for macro photos until I read about Close-up Lenses. I haven't owned the kit for too long but the lenses seem to allow the camera lens to get much closer to subject. My only gripe is that I think they could send some literature along with this product to recommend ways to best use the product. Rated 1 out of 5 by Chris680 from Not what I was hoping for I was looking for a less expensive way to experiment with Marco photography but the results I achieved were less than I had hoped for so I wound up returning this Filter set. Rated 4 out of 5 by g2van from Good practical alternative for macro Just started using it. Works well and makes closer shooting possible. Manual focusing definitely makes it better. Stacking two or more together is a little trickier. All in, unless you are a serious Macro shooter, this is a practical solution in terms of size and price. Rated 5 out of 5 by Anonymous from A light-weight, practical alternative Best used with lens on manual settings, these light-weight add-ons provide an opportunity to photograph subjects up close without breaking the bank. Be patient and you will find them quite satisfactory when travelling light. Rated 4 out of 5 by Anonymous from great addition If you like close up photography, this is a must have in youor camaera case. Great qua;ity, versitle with the set of three.